Chabakuk Elisha commenting on The Variable - Does It Make A Difference? Story: My father is friendly with an honest, hard working, Jewish publisher. It so happens that his business was once broken into and things were stolen & damaged. When the insurance adjuster came to access the damage, he said that unfortunately very little of the loss would be recovered - however, he said, if you break some walls and make it look bad, I can take some photos and you'll be more likely to recoup the entire loss. He also said that it wouldn't really be the wrong thing to do, since he was legitimately out the money, and this was the only way to get what he should rightfully have coming. The publisher said that he wasn't comfortable with the idea, so the adjuster said, "OK - Call me tomorrow and tell me what you decide." The publisher couldn't sleep all night. First thing the next morning he called the adjuster and said, "Forget it. Just make the claim the way it is and whatever I get, I get." "But I'm telling you - you won't get your money back this way!" The adjuster argued. 'It doesn't matter," said the publisher, "money comes and goes, and it's all from G-d anyway; but when a Jew does something shady, the damage stays." "Wow", the adjuster replied, "You know, you're the first guy that ever said no to this proposal. I respect that greatly." I will be first in line to buy a copy of this new book! The Variable - Does It Make A Difference? My wife's friend brought her toddler-aged daughter into the pediatrician with an ear ache. The pediatrician prescribed ear drops and told the mother that he would call in prescription to a local pharmacy. When the mother drove over to the pharmacy later in the day (after the pediatrician's office closed), the pharmacist informed her that that the pediatrician never called the prescription in. The next morning this woman's daughter was in a lot of pain, so the mother called the pediatrician's office and inquired whether she could come over to pick up the prescription herself. The receptionist told the mother that the office was very busy that day and didn't know if the pediatrician would be able to get to it. Hearing this, the mother put her children in the mini-van and drove over to the office. She called the receptionist once again using her cell phone and told her that she was now in the parking lot. The mother asked if she could come in and pick up the prescription. The receptionist stone-walled her and told her that all the doctors were very busy and would not be able to attend to this matter now. Without second-thought, the mother parked her car and took her two toddlers up to the waiting room full of people. The daughter started to cry in pain from her ear ache and her brother who had not yet eaten lunch started complaining loudly as well. Within five minutes, the receptionist brought out the prescription that the mother had been requesting all along. I have to say, I really admire this mother's chutzpah. She did what was necessary to help her children. Now, at the same time, I wonder what would happen if I had gone into the doctor's office with my yarmulke on my head and done the same thing. Would my actions be viewed negatively, as a Chilul Hashem, since they would confirm others' stereotypes of Jews as being pushy? Should the yarmulke on my head dictate that I not do the same thing as this non-Jewish woman? How does this change of this one variable make the difference? Covering the head has become significant and valuable, not because it has any inherent meaning but rather as a conventional sign of belonging to a certain group of people and of a commitment to a certain way of life. The ba'al teshuvah must be aware of this symbolism. On one hand, if he does not cover his head, he will be regarded by the Orthodox (particularly in Israel) as a deviant from the true path, no matter how observant he is. On the other hand, if he is not fully observant, at least in public, the fact that he covers his head may lead others to see him as hypocritical. Indeed, it may cast a shadow of hypocrisy over the entire observant community. Thus, covering the head is an act fraught with significance that must be weighed very seriously. But if one does intend to live an observant life, not in secret, as a kind of Marano, but openly, he should "not separate himself from the community" but let other people know his intentions in this symbolic way. By doing so, he actually helps them relate to him and avoids awkwardness both for himself and for others. Rabbi Dovid Sears, Director of the Breslov Center for Spirituality and Inner Growth, and author of many books on Jewish thought provided the material for the posting below. Last Shabbos during the day meal, my wife mentioned that bees and birds (and maybe some other creatures) can perceive the ultaviolet range of light. Therefore what appears to us as a green leaf with a few green veins might be perceived by these creatures as a vividly colorful object pulsating with energy. Probably we have all come across glossy magazines in doctors' offices that present "psychedelic" photos attempting to replicate the way other creatures see such artifacts of everyday life. It struck me that this is a useful analogy for the differences between the way the great tzaddikim perceive reality, as compared to the perception of ordinary people. Most of us tend to see a rather truncated, "low-frequency" reality; a prosaic world of "one-plus-one makes two." However, the gedolei ha-tzaddikim, those who have attained a degree of hasagas Elokus / divine perception, see the same world in a much wider spiritual context. It is written: "Kulam be-chokhmah 'asisah . . . You created them all with wisdom." To the kabbalists, this means that the common point of origin of all created things is the sefirah of Chokhmah -- what the Zohar calls the "koach-mah," the universal divine potential that underlies all existence. Rabbi Nachman discusses this in Likkutei Moharan, Torah 35, where he describes this dimension of Chokhmah as the goal of teshuvah: the mystical point of origin of all being, which we must strive to regain by purifying the mind and reawakening its hidden powers. To various degrees, the tzaddikim have succeeded in accomplishing this. Thus they perceive the unmanifest divine wisdom within the world of manifestation, the transcendental within the immanent, the "higher frequencies" of spiritual light -- and all the understandings that apply to each level of such perception. Thus, the Baal Shem Tov stated that on the madreiga of the 'Olam ha-Yetzirah / World of Formation, one could perceive events that would take place within a certain number of years; on higher levels, one could know the more distant future. By purifying themselves the tzaddikim become privy to divine knowledge, at least to some degree. The Torah calls the sages the "eynei ha-edah," the "eyes" of the congregation. Be-pashtus, this means that they are qualified to guide us by virtue of their greater wisdom, gained through mastery of Torah. However, one of the further ramifications of this is that they can actually "see" things that are beyond our power of spiritual vision. * The Sdei Chemed, a ninteenth century Sefardic halakhist, wrote an unprecedented encyclopedic work so full of information that other rabbanim could scarcely believe that it was humanly possible to write such a work. Eventually the author admitted that his work came about through a divine gift. He once was defamed for a certain evil deed, and in order to prevent the actual perpetrator from being shamed, he remained silent and did not protest. Almost immediately he found that he had total recall of everything he had ever learned, and thus was able to create his masterwork. 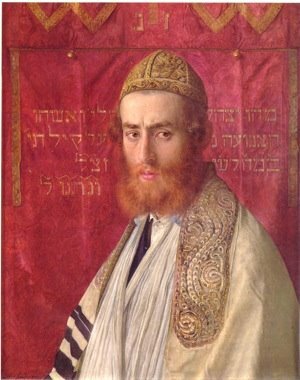 * The Vilna Gaon (GRA), who lived in the middle to late 1700s, not only knew kol chelkei ha-Torah, but was privy to various mystical experiences. He sent a group of his talmidim to initiate the return of Klal Yisrael to the Holy Land after confiding to them the key things that would happen until Mashiach -- and subsequently. These mesorahs have been carefully preserved, and history has borne out their truth. 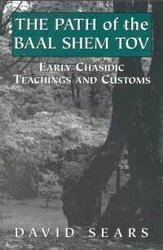 * The Baal Shem Tov, during the early to mid-1700s, was initiated into the mysteries of Torah by the soul of Achiyah ha-Shiloni, who also accompanied him on his spiritual ascents to the upper worlds. Achiyah was one of those who left Egypt with Moshe Rabbenu, and according to one view, lived for a thousand years. He served on the Beis Din of Dovid HaMelekh, taught the ways of prophecy to Eliyahu HaNovi, and was also the spiritual mentor of the holy Tanna Rabbi Shimon Bar Yochai, author of the Zohar. The Baal Shem Tov works, written down by his talmidim, are suffused with his mystical vision. * Rav Chaim Vital, the main disciple of the ARIzal, during the 1500s, also discussed learning the secrets of Torah from angelic maggidim and neshamos of tzaddikim by various methods. In his Shaarei Kedushah, Gate 3, he presents a meditative technique by which one who is spiritually qualified may attain such wisdom. A more detailed version of this method is found in Rabbi Pinchos Eliyahu Horowitz of Vilna's Sefer ha-Bris, in the section on prophecy. * Rav Yosef Karo, author of the Beis Yosef on the Tur and the Shulchan Arukh, and an older contemporary of the ARIzal, also received hidden wisdom from an angelic mentor, as recorded in the sefer Maggid Mesharim. All of these tzaddikim lived in the body and went through the kinds of things we all must go through; yet their perspective was from a far higher vantage point, and therefore their understanding of things was often very different than what we might consider the "common sense" approach. Rabbi Nachman states that Eretz Yisrael looks like any other land, with sand and sea, etc. but in truth it is "something else entirely." 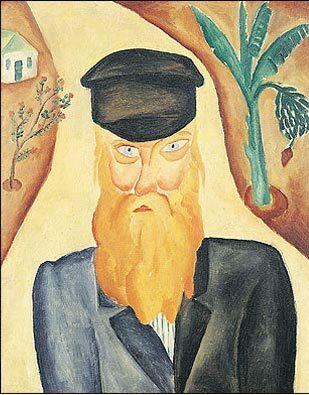 Similarly the tzaddik looks like any other person, but in truth he is "something else entirely." Agav: this is probably one of the reasons why Reb Nachman was so passionately opposed to rationalist philosophy, aside from the historical context of his fiery words, which was the battle against the Haskalah movement. The philosophical worldview and approach, even as espoused by famous medieval Jewish thinkers, reflected the truncated perception of the ordinary mind, whereas Reb Nachman like other great tzaddikim was privy to a radically different perception of reality -- a mystical perception. As Chazal state: prophecy was taken away from the prophets, but it was not taken away from the sages. We may not be able to see with the eyes of the tzaddikim. But as we try to find our way through the confusions of this world, at least we should strive to heed their directions! 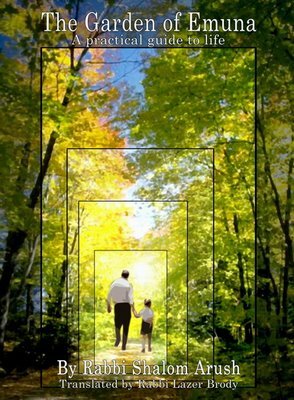 I believe that G-d can turn a triangle into a square -- for G-d's ways are hidden from us. Today I was testing a second grader. I had to ask her what "imagine" meant. (This is for reading aptitude.) She said, "It's like I can't imagine that my baby sister died." I said, "Did that really happen?" and she said yes. 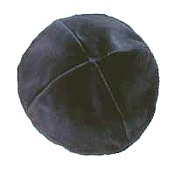 Rabbi Zvi Leshem: What is a Chassid? 1) Rav Hillel Zeitlein, Safran Shel Yichidim, page 43: "And what is the main essence of the Chassidut of the Besht? The main essence is in the 'three loves' that the Besht taught; Love of God, Love of Israel, and Love of the Torah." 2) Rav Menachem Eckstein, Tanai HaNefesh leHasagat HaChasiddut, p.86: "All that we have written is included in three short statements of the Besht; 1. 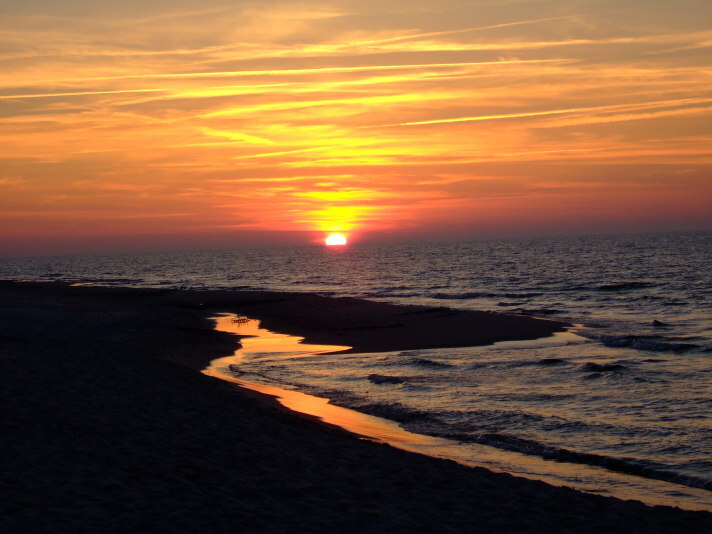 One must always contemplate the greatness of the Creator and the insignificance of himself. 2. One must cause his intellect to rule over his physicality. 3. One must achieve purity of thought and holiness in character traits." 3) Rav Kolonymos Kalmish Shapira, Bnai Machshava Tova, p.43-44: "This is the way of the chasid, he occasionally cries during a happy tune, and while dancing, and he sometimes dances to the tune of 'Kol Nidrei'." 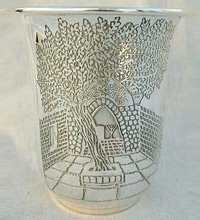 4) Rav K. K. Shapira, Mavo HaShaarim, p.18b: "The drawing down (of spiritual light) until then, was only into the vessels. But the drawing down of the Besht and his disciples was new, drawing even into the walls of the vessels themselves, so that they also were transformed into light. However, they were not actually transformed, rather their light was revealed." 5) Rav K. K. Shapira, Chovat HaTalmidim, p.21: "The essence of the Torah of Chassidut is not to be satisfied with having one's intellect absorbed in divine service...he must rather serve haShem with all aspects of his thought, speech, and action." 6) Rav K. K. Shapira, Chovat HaTalmidim, p.24: "This is the basis of Chassidut, that one become animated and excited. Starting with his lowly aspects and physical emotions that he should arouse himself to holiness." 7) Rav K. K. Shapira, Derech HaMelech, p.166: "The essence of Chassidut is not to fulfill the Torah and the mitzvot only with the body. Nor to pray only with the mouth, or even with thought, but rather with the soul, with love and excitement....Only then can he reveal and elevate (his soul), and become a chasid." 8) Rav Shalom Noach Brazavski, Netivot Shalom, vol.1, p.296: "The Ari spoke of matters pertaining to the upper worlds and the holy Sefirot. The Besht added explanations showing how it all pertains also to the divine service of the Jew in the lower world, since man was created in the image of the Divine." 9) Rav Shalom Noach Brazavski, Kovetz Sichot LaMishmeret HaRishona,p.26: "In order to be a chasid, you first have to know what Chassidut is....A chasid is one for whom the way of 'Is it pleasing in the sight of God', is the guiding principle." "It is telling that the Torah does not have a word for homosexual. Neither, I am pretty certain, does the Hebrew language. Why is this? Because the Torah does not define a person by their actions or sins. Just as someone who breaks shabbat or eats pork is not labled "shabbat breaker" or "pork eater", neither is the person who engages in homosexual relations called a homosexual. " One who visits a sick person relieves him of one sixtieth of his illness. While it is possible to forgive a person for things they have done to us, it is extremely difficult to erase our memory banks that contain an itemized and comprehensive listing of all the past wrongs they have committed against us. For some individuals it seems like we keep a dossier that is thick in size; full of years and years worth of incidents or disparaging things they have said to or about us. Is our maintenance of this list an indication that we do not truly forgive the person or a self-defense mechanism from being harmed again? I would say that - in my experience - people who really were sorry, I forgave without further thought of the matter. Chazal say "Kamayim HaPanim al Panim, Kach Lev HaAdam" (just like water reflects a face, so too does the heart of mankind). I do think that when someone harms another and truly regrets it, the one harmed can tell that it's sincere - and humans tend to forgive and (pretty much) forget ( i.e. not hold it against the offender) in that case. However, should that person re-injure - or repeat harmful behavior - the past offences are immediately readmitted as valid evidence, not unlike a multiple offender in court. I don't think that there is anything wrong with this: Wouldn't it be foolish to allow others to abuse us endlessly? What is so noble about getting beat up again and again without protecting ourselves? When we daven we say the brocha "selach lanu" asking G-d to forgive us for crimes against Him. Judaism teaches that G-d differs from man because His forgiveness is limitless - we commit the same offence time & time again, yet G-d is infinite and so are His attributes. He can infinitely forgive us - when we are sincere - but man is not that way. 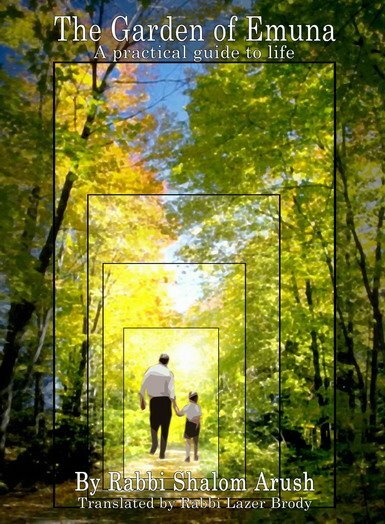 Man has a threshold of forgiveness, and although we are told to emulate G-d's attributes, we aught to remember that the key here is sincerity. G-d knows when the offender is sorry - man cannot. We cannot forgive endlessly, because we do not know what lies in the heart of man - we must rely on the evidence. Therefore, we collect evidence throughout our lives, and we let that evidence guide us. So I cannot help but repeat what I think is the only responsible refrain: "Forgive, forgive, forgive, but don't necessarily forget." This posting resumes a conversation that was left off here. If you would like one of these CDs free of charge, send me an e-mail with your mailing address and I will mail it to you. Individual CDs will be given out on a first come, first serve basis. UPDATE: All 4 CDs have now been given out. Man must toil and do with both hands, and the Holy One, blessed is He, will send His blessing. This Shabbos, 2 Elul, is the yahrzeit of my great-grandmother Mindel bas Tzvi Hirsh. 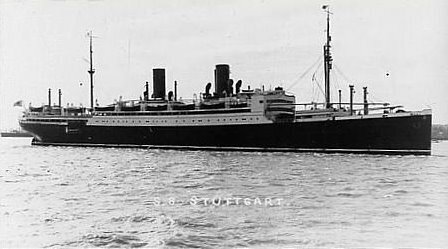 Mindel left the shtetl of Kosovo-Poleski (today Belarus) when she was 18 years-old and made her way to Bremen, Germany were she boarded the S.S. Stuttgart. On December 5, 1895 she arrived at the port of New York and later settled in Philadelphia. There she married a Jewish immigrant from Sudilkov, Ukraine in 1902 and later had a family of five children. "She runs he own home, works in her beautiful garden, does her own shopping, attends all the meetings of all her organizations and is a regular attendant of the Late Friday Night Services, as well as all the Holiday Services. All these things she does because she wants to and because she enjoys them. She also has a very lively sense of humor and an air of dignity and stylish, humility and awareness that enables her to mingle with people of all ages and from all walks of life." Mindel passed away in 1972, 111 days before I was born. 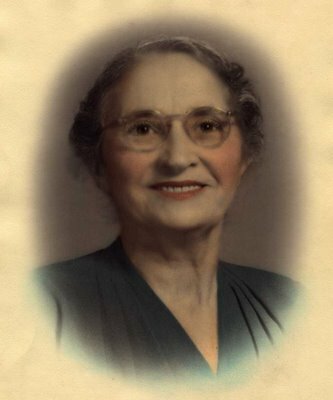 33 years later, my youngest daughter was born and we gave her the "middle" name Mindel in my great-grandmother's memory. Can You Guess Who Wrote This? 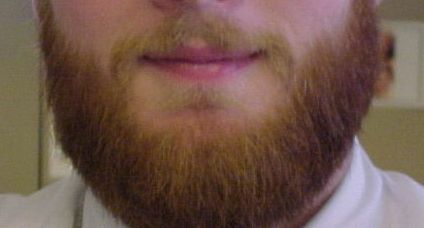 The Jewish calendar is full of notations, red letter days that are meant to be both particular reminders as well as part of a uniform one: Time is passing; the sands of life have run out a bit more; the beard is grayer and the limbs just a touch heavier. Time. The Jewish calendar is a watchman of time, a ram's horn that blows not once a year but every time that a new cycle begins. Every week is marked by a Sabbath that notes not only the end of the week passed but the beginning of a new one. It is both a reminder of seven full days passed out of our life - so soon!- as well as the opportunity to make the next period fuller, more meaningful, a reason for being. Every month is marked by a Rosh Chodesh, the consecration of the new beginning of yet another lunar cycle. The wheel of heaven has revolved yet another thirty days - so soon! - and we are that much older. Hashem now gives us another month to prove that we are also that much wiser. It is not only another month, it is a new month. Above all, it is called Rosh Chodesh, the "head of the month". Is there perhaps here a hint to see how much wisdom has filled our heads during the mistakes and sins of the past one….? And every year has its Rosh Hashana, that peculiarly Jewish day in which there are no parties and abandonment of restraint; in which there is no hilarious laughter and noise that is a frantic and frenetic attempt to convince all (and oneself) that he is happy; there is no frantic clutching at pleasure before it escapes and - worse - before I pass on; too soon, too soon. There is Rosh Hashana, the time post. Another year gone by - already? So soon! - and it is a time to see what the gray hairs and the added wrinkles and the slower reflexes have taught us. Rosh Hashana is one step closer to the gateway out of this world and into the next one. It is a time to rehearse the speech that we will make - all of us - some day, before the Supremest of courts, as we attempt to explain the meaning of our lives below. Life is too short for fools. It is too long for those who know it was not given for happiness (if that comes, how wonderful, but how often does it appear, only in insignificant measures and at rare times, as drops of rain that fall on a parched desert leaving no impact, changing nothing so that the traveler never knows it fell). Life was given for holiness and sanctity, so that we might rise ourselves; so that we might consecrate and hallow that animalism within us that threatens at every moment to escape and express itself in selfishness, ego and greed - sins that are themselves only the corridors to the crimes of cruelty and hurting others. Life is not a happy thing - it is a beautiful thing, and when one becomes the artist and artisan of that beauty that is called holiness, when one practices the supreme holiness that comes of loving and giving of oneself. "Ani l'dodi v'dodi li…I am my beloved's and my beloved is mine." The words of the greatest of love poems, Song of Songs; great because it is that purest of love, between the Almighty and the House of Israel. Consider them, for do they do not contain the essence and secret of true love? Do they not clearly cry out the difference between that counterfeit which passes for it today in our ill world? "I am my beloved's and my beloved is mine." When I am my beloved's, when I give to her and give of myself and live to do for her and make her happy - then I am guaranteed that she is mine for she will, in turn, be doing the same for me. The lovers who think of giving to each other must receive from each other. This is love, this desire to give, this desire to sacrifice and do for the other. Not for nothing was the Song of Songs called by the incomparable Rabbi Akiva, "the Holy of Holies" of all the books of Tanach. For the kind of love expressed in it IS holiness. Holiness is to escape from the selfishness and greed of the animal; it is to smash the passions and desires of the ego; it is to master the will that makes man seek only his own gratification. And is not love just that, in practice? Is not love exactly that, if it is true love? And not for no reason did the rabbis see in the Hebrew letters of the month of Elul the first letters of "Ani l'dodi v'dodi li…I am my beloved's and my beloved is mine." Elul is the month of tshuva, return and introspection. It is the month of scraping away the ego that has settled and crusted our hearts and souls. If Pesach calls for searching out the leaven in the home, Elul decrees removing it - the yeasty and bloated ego - from the soul. It is a time to note the calendar, the graying and aging, and to realize: Not for nonsense was I born and not with nonsense must they bury me. Be good. Love. Love selflessly; cease speaking evil, cease thinking evil; cease searching out evil in your fellow human beings. Cease seeking to grow at the expense of others. For one who climbs on top of the man he has just chopped down is not taller. He is the same dwarf standing on his victim's height. Be wary lest you hurt the one you love. Think before you act towards the other person. Be good as a person, as an individual, and your part of the world has become holy. Then, if others emulate you, the world will suddenly and automatically turn beautiful and hallowed. It is Elul. Think of your beloved - all the people of the earth - and think of your particular beloved. Give of yourself and you will receive that which no amount of grasping and scheming can ever bring you: self-respect. Love the other and you will learn to like yourself. Be holy, for the One who made you is Holy and for this He placed you on this earth. It is another Elul, yet another one. How many more are left? Shabbat afternoon is a time to rise and realize what Creation can be before stepping back down into your body, ready to live that promise. It is the time G-d commits to creating the universe for another week. Be simple with Hashem, your G-d.
"Conduct yourself with Him with simplicity and depend on Him, and do not inquire of the future; rather, accept whatever happens to you with [unadulterated] simplicity and then, you will be with Him and to His portion." In this essay he writes, "So I dare say the Baal Shem Tov would have had no interest in a conscious simplism. I have heard stories of how his successors did not." Does anyone know what he means by this? In the process of my genealogical research, I received an e-mail from someone in Israel whose family turned out to be related. In the course of our ensuing e-mail communication I learned that I was the fourth cousin of the Murder Inc. gangster Irving "Knadles" Nitzberg. 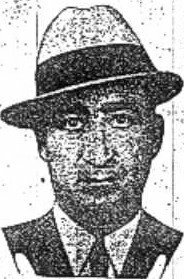 In January 9, 1939, Knadles Nitzberg murdered fellow gangster Albert Shuman while they were riding together in a car in Brooklyn. Knadles was apprehended by the police, sent to Sing Sing Prison, and later escaped execution on the electric chair when the star witness and mob informant Abe (Kid Twist) Reles "fell out of a window". Knadles was later let out of prison, but once again fell a life of crime and became involved in burglary and loan sharking. In researching information on Irving "Knadles" Nitzberg, I obtained articles concerning him from the New York Times newspaper archives. I also was able to enlist the help of a lawyer to obtain electronic copies of the 1941 court case that gave the details of the murder trial. Finally, I wrote to the New York State Department of Corrections and received his records from Sing Sing Prison. Part of me is fascinated with this distant relative who was involved in the infamous Murder, Inc during the height of Jewish gangsterism. At the same time, I am happy that we do not share a common last name or a closer relation. When Elul comes around, I feel the fear in my shoulders. Guest Posting From A Yid: Learning Likutey Moharan - How Well Do We Understand What Hisboydedus Is? After we had some discussions about hisboydedus and learning Likutey Moharan, I figured out that some consider this issue pretty clear and easy to understand, while others (like myself) find it hard and complex and not obvious from written words themselves. So I decided to refresh for myself the issue of how to approach learning Chasidus in general, and Likutey Moharan in particular. Before speaking about it, it worth to look at one piece from hakdomo to "Likutey Amorim" of Mezheritcher Maggid zy"o written by his close talmid – Rabbi Shloyme Lutzker zy"o. You'll see how it is relevant a bit later. Just note a chasidic view, that in order to understand Ariza"l throughly one has to know Rama"k very well, and that Ariza"l spoke revealing a tefach, and concealing thousand of amoys (a very colorful metaphor if you think about it). ...Hidden and concealed and enclosed in it are very lofty things, that aren't even mentioned inside openly, but only in a way of remez and soyd. And all Kisvey hoAriza"l, and maymorim of Zoyhar haKodoysh, and Tikunim and all ways of Kabolo hakdoysho, all as one are included in the words of this seyfer hakodoysh. Reb Noson's introduction gives a very good explanation on the way Liktey Moharan is composed. It is megale and mechase at the same time. And it includes all ways of Kabolo. And we have to note that it includes the ways of Baal Shem Tov and his talmidim in particular! Compare what Reb Noson says, to the words of Reb Shloyme Lutzker above. Rebbe himself also said, that he brought his words to this world to the best of his ability (as we saw about Ariza"l as well). And you shouldn't go too far to understand, that Rebbe didn't have to explain to his talmidim every small detail of Chasidus, because they were very well versed in sfroim of Baal Shem Tov's talmidim (and those of the talmidey hoMaggid available at that time), as Ariza"l's talmidim were well versed in the sforim of the Rama"k.
This might differ Breslov from Chabad for example. While Chabad tends to be a self sufficient system to some degree, Breslov requires you to know a lot, to understand Likutey Moharan, and especially of Baal Shem Tov's teachings and Kabolo. That's how the Rebbe presented his teachings. We see it all the more from the Tcheriner Rov ztz"l who according to Breslover mesoyro composed "Derech Chasidim" and "Loshn Chasidim", for the sake of strengthening the learning of talmidey Baal Shem Tov and talmidey hoMaggid amongst Breslover chasidim, so these Toyroys woulnd't fall out of the focus, and really because they are more than relevant to understanding Likutey Moharan itself. 1. The Rebbe speaks in a half hidden way (you can assume that hidden part is qualitively much more than revealed as in Ariza"l's case). 2. Reb Noson says, that one should learn Rebbe's words to the best of his ability, and not to be contended with superficial level. 3. In order to understand Likutey Moharan seriously one should know really a lot, and in teachings of Baal Shem Tov and his talmidim in particular. After all this, you can see, that regarding hisboydedus all this can be applied as well. And this issue (even though it of course has a simple practical implications as well as Reb Noson says) is serious and deep, and one should really work hard to understand it to the best of his ability. 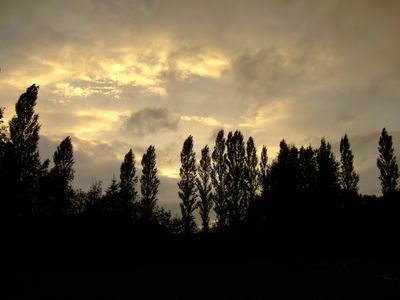 I learned the following significant lesson from my teacher [the Baal Shem Tov]: In all physical and spiritual suffering, man should consider that within this suffering is G-d, blessed be He, though in a disguised form. When man becomes aware of this, the disguise is removed, and the suffering and evil decrees are nullified. A chossid once happened to be at the home of a certain Jew who was critical of Chassidus. This Jew criticized the concept of Rebbes, stating that these men were frauds and charlatans who, out of there desire for money & power, took advantage of simple minded Jews and manipulated them into giving them their money, thus getting rich at the expense of these unfortunate souls. The chossid replied that this Jew reminded him of his grandmother's cow. This cow was a good cow for a number of years, it was friendly, gave them milk, was agreeable, and devoted. 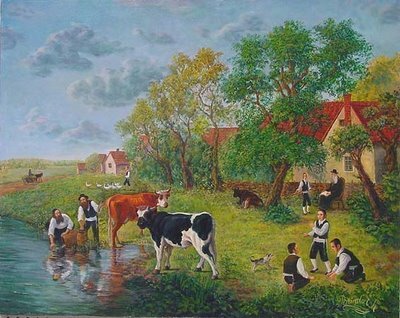 But the cow thought it was unfair that it had to remain in the stable instead of in the home, and that it only got water to drink and straw to eat -- while the owners ate real food in comfort. The consolation for this cow was that every week when the owner's wife cooked for Shabbos she would dump all the leftovers in the trough, which the cow ate with passion. At least the cow would get these delicious morsels of food. Now, it once happened that Yom-Tov followed Shabbos and the rebbetzin, busy with the Yom Tov preparations, dumped-out the leftovers, instead of pouring them into the trough. At this point the cow was waiting for the usual delicacies, and instead, only water was brought out for it. This was very disturbing, and the cow started to think... It must be that the people were becoming greedier, and had decided to eat the leftovers themselves! All the leftover scraps, cold soup, bits and pieces and burnt crusts were surely being kept and eaten by the greedy people and not even this would be shared with the cow! Needless to say, the cow became furious; it started braking things, stopped giving milk and became downright useless to the point that they had to rid of it. So too, said the chossid, there are people who think like this cow. They think that theirs is the only reality, and like the cow, they can't imagine that their perspective might be incomplete. Thus, the cow couldn't imagine that its delicacies could be someone else's garbage. The Jew in the story couldn't imagine that others do not share his greed for wealth as the most valuable material in existence. Last Monday afternoon my wife brought the kids out to a nearby park to play with some friends. 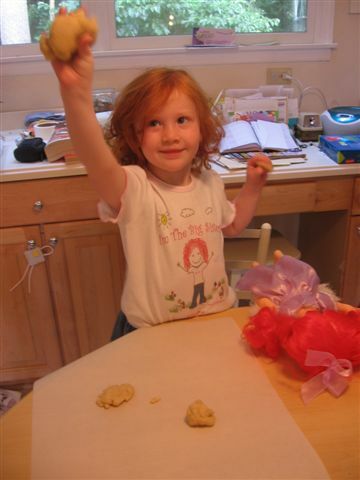 When they returned home, my four year-old daughter was exhausted and agitated at something causing her to act out and misbehave. When my wife put her in a room and closed the door so she could calm down and unwind, my daughter laid on the floor kicking the door and wall until she put a small hole in the drywall. My wife pointed this hole out to me after dinner when we were all sitting downstairs and I called my daughter over, pointed to the hole, and asked her about it. "Did you make this hole in the wall?" "No, I didn't do it"
"How do you think this hole got here?" "Someone slammed the door and made the hole." I then had her open and close the door, illustrating the fact that it did not reach over far enough to make a hole in the wall. "See, it is impossible for the door to have made this hole." "If you did do it, tell me the truth and I will not be upset with you. I will only be upset if you do not tell the truth." "I didn't do it, Daddy!" Seeing that I was getting no where, I had her come over to the hole once again and lay down on the floor. I then matched her heel up to the hole. "Look, it is a perfect match." "I didn't do it, Daddy." "Did you see him do it?" "If you didn't see him with your own two eyes you cannot blame him for kicking the wall. There is nothing worse than blaming someone for something you do not know 100%." "Ok, Daddy. He was upstairs when I kicked the wall." "So you kicked the wall?" "No. I didn't do it, Daddy. Bring ~her brother's name~ over and lets put his foot up to the wall. Check him." I called my two year-old son over and told him to lay down on the floor. I raised up his foot and put it next to the wall; being shorter than his older sister, it didn't even close to the location. "His foot cannot even reach it. This proves that he didn't do it. If you did it and tell me the truth, Daddy won't be mad. I will be happy that you were honest with me." "The puniner [computer] did. It jumped off the table and made the hole in the wall." "I know you did it. Tell me the truth." "I didn't do it. I didn't do it, Daddy!" "Ok, if you tell me that you didn't do it, I will believe you because you are telling me the truth. Now, it is time to take a bath. Whoever kicked the wall can be the first one in the bath." "I did! I kicked the wall, Daddy. I just forgot. I am sorry." I went to the Hasidic rebbe's court, which was located on the outskirts of town. 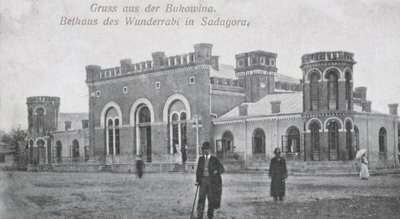 Two red medieval castles in Moorish style were flanked by ingeniously ornamented circular towers with battlements and enormous portals. 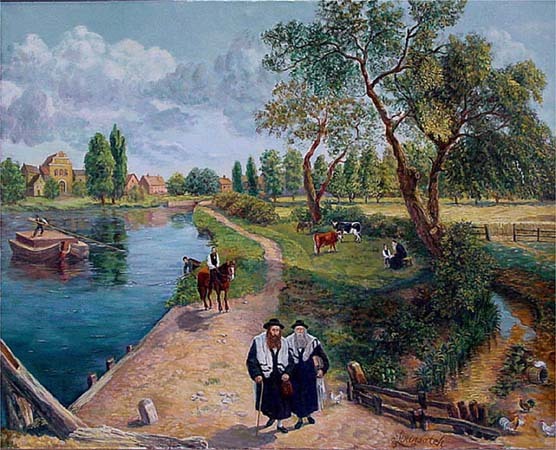 Of the two castles, which were identical in size and architecture, one was the rebbe's home, the other the synagogue. The walls of both buildings were still whole, but the interiors had been thoroughly looted, wrecked, and soiled. 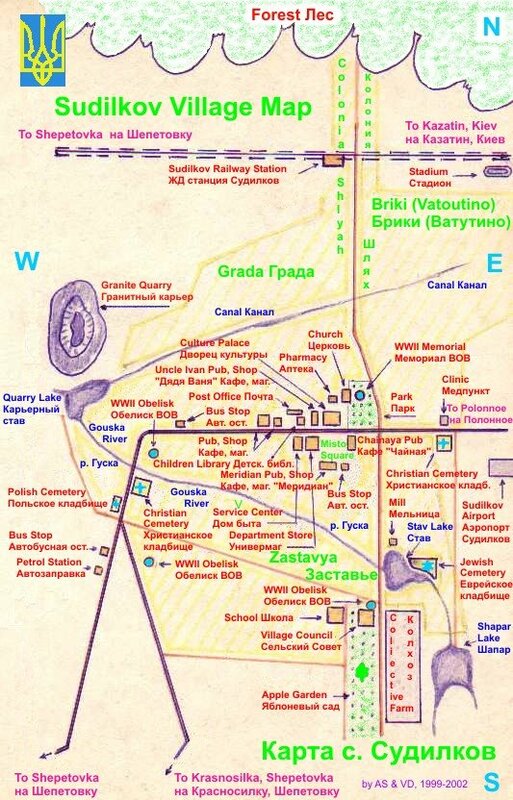 Now both structures housed a military typhus hospital. He [a physician] pointed to the other castle. "That's the second building. It used to be a synagogue. We set up a hospital there. It's got all of eighty cots." I entered the large and very lofty synagogue. There I instantly noticed the rows of cots with sick and dying men lying there in military overcoats. The air was heavy and stank. The sick men were all gaping at us - with pitiful eyes pleading for help. In other cots, the eyes were cold, hard, and serious - and already hopeless, self-absorbed. A whole gamut of looks! I peered around. Torn, naked, filthy walls, with a few traditional pictures left here and there: lions and leopards, musical instruments. An expensive but broken chandelier hung from the ceiling. Then my eyes alighted on the eastern wall - and what I saw made me tremble. The rich ornamentation of the Holy Ark with the Tablets of the Law above it was untouched. But at the center, on the Holy Ark, a Christian icon had been inserted. Desecration. The word flash through my mind. And this jolted me more than any pogrom. An ancient emotion stirred in my heard, an echo of the Destruction of the Temple. I stood there, unable to avert my eyes from that bizarre image. I felt that a dreadful profaning had occurred here, a degrading of both religions. The savage hand of a brutal soldier had violated both God and man…. The doctor was telling me something, but I wasn't listening. 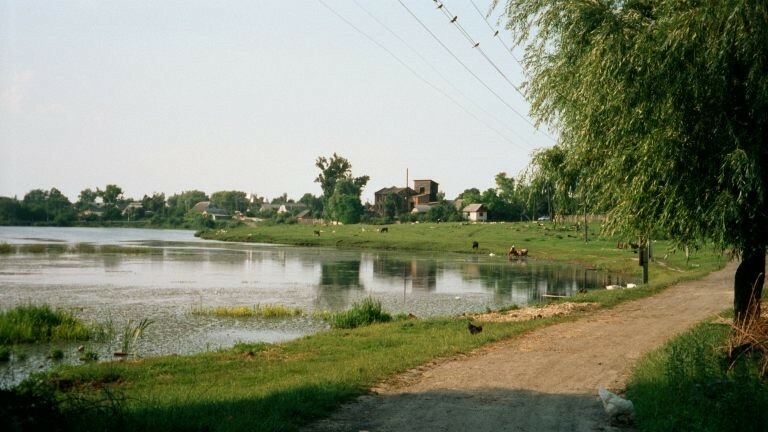 Upon returning to Czernowitz, I met a Hasidic Jew from Sadagora. I told him what I had seen in the rebbe's synagogue. He wasn't surprised. His embittered face remained cold and stony. "It scarcely matters compared with what happened to the rebbe's grave." He sighed softly. "You don't know? The army destroyed the entire cemetery. They smashed all the headstones - as well as the small ohel on Yisroel of Rizhin's grave, which they dug up, and they made off with his bones. 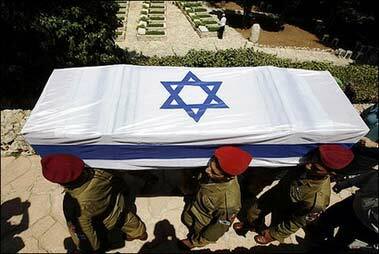 Someone had told them that Jews bury money in graves, so they hunted for it." With the outbreak of WWI, the Russian army conquered Sadagura and pogroms were brought against the Jews of the city. They murdered several of them and exiled many others to Siberia, the elderly among them dying from hardships along the way. The rioters destroyed the zaddik’s luxurious house as well as most of the Jewish houses. No mention, however, is made about the story in Ansky's book concerning the kever of Rebbe Yisroel of Rizhin, nor in the book The House of Rizhin, nor the International Jewish Cemetery Project's entry for Sadagora. Does anyone else have any information about the veracity of this story? Living in this world may be compared to a maze, where there are numerous paths, many of which are confusing and interlacing, and all of which appear similar. The goal is to reach a portico in its midst. Some of the paths indeed lead to the goal, while others are deceptive and lead away from the goal. However, one cannot tell which is which, unless one has successfully mastered the maze and reached the portico. Someone standing on top of the portico has a view of all the paths, which are true and which are deceptive, and he can call to those who enter the maze, "Follow this path," or "Avoid that path." One who heads this guide will soon arrive at the goal, while one who persists in pursuing his own intellect will blunder and may never arrive at the goal. 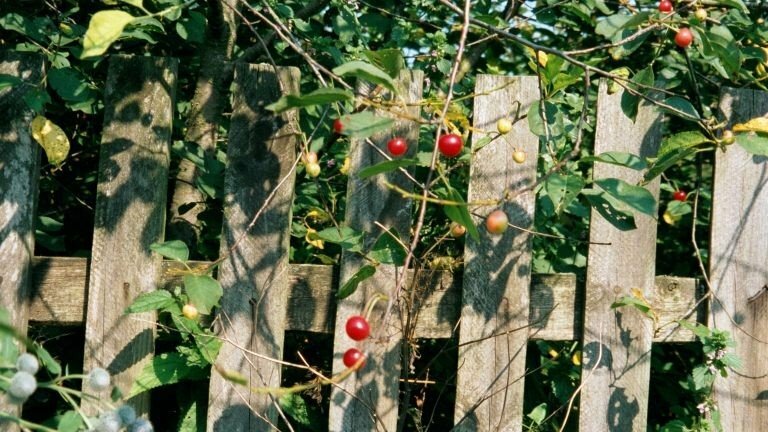 "Two summers ago, my family and I went to Upstate NY. We decided to drive into Woodbourne and get something to eat. I, of course, wanted to go check out the seforim store (which happens to rock). As I walk in, I say hello to the owner and ask if he’s having a nice day. “Baruch Hashem,” he replies. Note: I was wearing a polo shirt and khaki pants. Then the owner says to this man and his sons, “Yes, people like him shop here. And guess what? When he walked in, he said hello to me and asked how I am. When you came in you didn’t say a word to me. I’d take a customer like him any day.” This guy is my hero. What this man and his kids were wearing and where they fell on the hashkafa chart doesn’t matter. You can look decent and be a mensch or you can go “casual” and be a mensch. Just be a mensch." 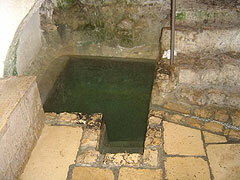 "I heard from my grandfather that once he went to a mikveh in a place amongst Arabs. 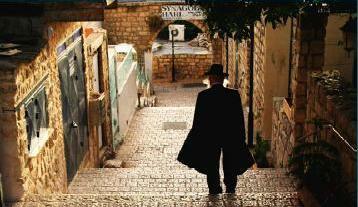 When he returned from the mikveh he was afraid of touching an Arab. Later, he heard two Arabs nearby talking to each other and telling each other to be careful from touching that impure Jew." What do you think the Degel is trying to teach us with this story about the Baal Shem Tov? In its context in Degel Machaneh Ephraim, the story comes as an aside to a d'rush about the necessity of Israel remaining separate from other nations, so that they should not emulating the ways of those who do not follow the derekh ha-Torah. If so, they would be denounced by the accusing angels, who appeared before the Divine Throne at the hour of yetzi'as Mitzrayim protesting, "These [meaning the Egyptians] are 'ovdei 'avodah zorah, and so are these [meaning the Bnei Yisrael]...."
On the face of it, the Baal Shem Tov's great merit caused his wish to not be touched to be reflected in the Arabs' aversion to touching him for their own reasons -- which mirrored his. All this was min ha-Shomayim, and follows the rule that Hashem watches over his tzaddikim with a special hashgochah. The fact that the Arabs had their own ideas of tumah and taharah seems to be another example of "zeh le-umas zeh 'asah Elokim," i.e. that Hashem created a universe in which the holy and unholy are parallel structures. Another example of this idea is Rabbi Nachman's story, "The Master of Prayer," in which the inhabitants of the Land of Wealth create a religion that parallels the rites of the Beis HaMikdosh, complete with "animal" sacrifices that consist of poor people designated as animals, whose depleted bank accounts have caused them to lose their human status; prayers directed to human "gods" who have gained such status by amassing fortunes; and laws of ritual purity based on wealth. Of course, all this is satirical; yet it has profound depths of meaning, too. As for why the Baal Shem Tov had such a concern in the first place, we know that like other kabbalists the Baal Shem Tov was particular about using the mikveh, not just because of the chumrah of takanas Ezra, but for spiritual reasons alone. He attained certain mystical perceptions both when he was under the water and afterward, as a result of the state of taharah that the mikveh produced. It seems most likely that this is why he was particular about who touched him. This story should not be construed as an expression of hostility to Arabs or other non-Jews. See the section "A Light Unto the Nations" from the anthology "The Path of the Baal Shem Tov," pp. 85-86, for a few entries about compassion and respect for other nations in the teachings of the "Father of Chassidus." 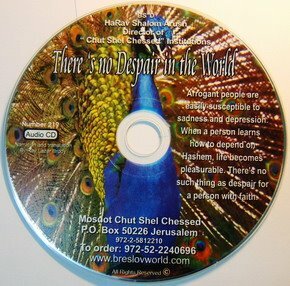 I have been following MOChassid's blog since 2004 and have come to the conclusion that if MOChassid recommends a CD, the CD is good - very good! In fact, it is my opinion that new Jewish music releases of quality should be stamped with MOChassid's hechsher for the benefit of the listening public. Through reading MOChassid's blog, I first was exposed to Yosef Karduner, Eitan Katz, Ari Boiangiu, Shlomo Katz, and Aaron Razel. In each case, I took MOChassid's recommendation, bought their CDs, and was happy I did. Now I look forward to the Jewish music CD he is producing in memory of his father. 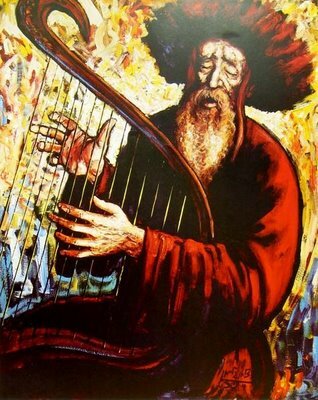 Thank you MOChassid for opening up the world of Jewish music to me. Even the pouch that holds the tefillin is holy. If it falls to the ground, even by mistake, you must pick it up immediately and kiss it. And a Jew who puts on those tefillin - how much more is that person holy! Another question should be asked: What constitutes "good" Jewish music as opposed to "bad" Jewish music? The beauty or shvachkeit could be in the "Jewish" aspect, or in the purely musical aspect.Good Jewish music should be "good music" by any standard, just as l'havdil good Irish music or good Indian music or good American folk music should all have the creative ingredients that move people deeply. Another possibility: you could have well-performed expressive creative music with well-sung Jewish lyrics, but if the music does not have any shaychus to any Jewish musical tradition, Chassidic / Klezmer / Andalusian/ Baghdadi / Yemenite, etc. -- it is still open to criticism. Kol she'kein, if the instrumental and compositional aspects are mediocre imitations of American pop tunes, have no shaychus to authentic Jewish musical mesorahs, AND the Hebrew lyrics are really just cliches that have nothing to do with the feelings expressed by the song... l'moshul "Ben Bag-Bag Ben Bag-Bag Omeeeeeer..." or the fifteen year old driven-into-the ground hack rock fiasco "Mashiach Mashiach Mashiach" featuring its syncopated Las Vegas arrangement still performed nightly by out of work club date musicians at frum weddings. The very fact that such low music ever became popular in our communities is a bizayon, even if the entrepreneurs with the diamond pinky rings are mostly to blame. But the "real" Jewish music defies death and despair. Just enter any Chassidishe shtibel on Shabbos, when instruments are forbidden, and hear the olam sing! PS: After that article in the Jewish Observer a decade ago, things only got worse. The real problem is that frum culture became so superficial and materialistic, and this is why our music today sounds the way it does. It is a portrait of our matzav ruch'ni b'ikvasa d'meshicha -- just as the music created in the heyday of Chassidus was a portrait of the Jewish spirit of those generations. Our music reflects our values, and even more our state of mind. My good friend Ilán in Buenos Aires sent me an e-mail last Monday inquiring whether he will get a chance to meet me in Uman for Rosh Hashanah. Just a few days before, Chabakuk Elisha told me that he was planning to take his sons along with him to Uman as well. I replied to both Ilán and Chabakuk Elisha that unfortunately I would not be going this year since I could not leave my wife behind with our new baby and two small children. I realize that this is precisely what everyone else does when they go; they overcome obstacles. Quite honestly, however, I believe that my going to Uman at this stage in my life would display a bit of spiritual selfishness. G-d willing, one day, I will be able to go with my son. From the pictures I have seen and all the accounts that I have read, I can only imagine what an amazing and uplifting experience it must be. It seems like an experience so powerful that you do not return the same person who left. Uman calls out for me, and I am still longing to return. For those of you who have been to Uman for Rosh Hashanah, do you now find it difficult to be anywhere else? Please leave a comment and tell me about your experiences there. I have had some very powerful experiences in Uman. 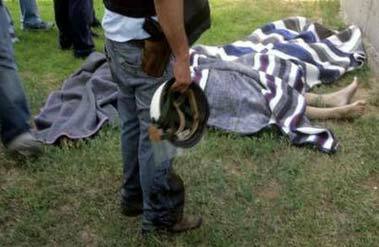 But I always try to tell people that Uman is not about "experiences" or spiritual highs, although they may happen. It is all about emunas chakhomim and tikkun ha-neshamos, and therefore transcends what we know and experience. My friend Dovid Steinberg once told someone "You won't even begin to know what happened to you in Uman for six months!" Any time we feel deeply - with sadness, joy, or even business concerns - we are dealing with the soul. Which rabbi wrote these lyrics? They don't sound familiar to you? If you aren't familiar with the lyrics from these two songs it is because you haven't heard "This is the Life" by Living Colour and "Who Cares Wins" by Anthrax. Now, imagine if these words were really written by a rabbi or came from lyrics on a Jewish music CD. Would you still have problems with them? Matisyahu has shown us that it is possible to make Jewish music from genres of music that are not traditionally thought of as "Jewish". Is their anything innately wrong or "un-Jewish" with heavy metal music? How about if it is performed by Jewish musicians who sing about Jewish topics? Forty years ago just the thought of putting Jewish songs to rock music was unheard of. It is not of unheard of today. It is quite commonplace. Just because something "has never been done before" isn't a reason why it cannot be done now. There aren't any specific halachos that prohibit "Jewish" heavy metal. If reggae can be taken an elevated, heavy metal sure can. So, where is Jewish music's Anthrax? If people are concerned that Jewish heavy metal would only develop a child's appreciation for groups like Metallica, how do you explain the phenomenon of Shlock Rock? Doesn't Shlock Rock develop a child's appreciation for secular music? Won't children want to hear the original songs instead of the parodies? The same could also be said for Uncle Moishy CDs that draw from secular music at times. And, if we take this a step further, won't listening to Matisyahu allow a child to develop an appreciation for Bob Marley; isn't it possible for a child who listens to Shlomo Katz to develop an appreciation for the Dave Matthews Band or Sting? If a person likes the African sound of the Shlomo Katz song, "Ufros Aleinu", it is not outside the realm of comprehension that they will like the Living Colour song "Solace of You" that has a similar sound. "They say since the Beit Hamikdash was destroyed, all the music of the Leviim, everything dispersed, fell down for all the world. This is the reason, sometimes we hear Pink Floyd or whatever, we feel excitement. We feel that something belongs to us. The problem is, it's filled with a lot of nonsense as well. Some music, when we hear it we feel down." "That which the nations of the world sing songs all contain fear, awe, and love of Hashem, which is found unclothed in them from above to below in all the lower levels." Here are a few quickly, off the top of my head that have been adopted by Chassidim. 1 ) Mustapha - a Greek Melody adopted by the Chassidim. I've played this song with Greek specialists and it's identical. 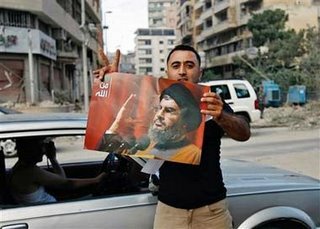 2) Abu's Khatzer. In fact, many of the tunes in the Meron klezer repertoire are adopted. 3) The Marseillese. Chabad chassidim still sing this one. 4) Szol a Kokosh Mar - a Hungarian folk song adopted by the Kalever Rebbe, I believe. 5) There's a chassidic march some call Toska (its played in Chaim Berlin on Purim) that is actually a Russian Folk song called "Longing for Home." An elderly Russian man once came over while I was playing it and identified it. 7) Chayav Inish - The well-known version of Chayav Inish sung on Purim is actually a Hungarian folk song called Hungarian folk melody "Czép Aszonynak Kurezálok." The melody is identical, although the form is somewhat altered. 8) I believe Chabad's "Nyet, Nyet" might also be borrowed. 9) Shamil's Nigun, which you mentioned, is attributed to a Ukrainian Robin Hood, Shamil. "Recalling that one of the tasks of the Tsaddik is to redeem the holy sparks and restore them to their heavenly source, one readily understands why Tsaddikim and their emissaries, wherever they lived, were constantly seeking out melodies of sacred flavor. Hence the multitude of foreign influences in Hasidic music and its variety of different, mutually distinct, musical styles. The plethora of influences is also reflected in a variety of musical forms: Polish and pseudo-French marches; Austro-Hungarian folksongs; instrumental music in a mixed Romanian-Balkan style; and Near Eastern dance tunes. In addition, the Hasidim on occasion adopted Gentile folksongs with the original texts, but endowed them with a new meaning in the spirit of Hasidism." From Blog in Dm's list and the liner notes cited above, it is evident that religious Jews were influenced by non-Jewish music in the countries in which they resided. Is there still anyone who wonders why the music of Sephardic Jews does not draw from Ukrainian, Polish, and Hungarian influences, and why Jewish music in Eastern Europe does not draw from Yemenite, Iraqi, or Moroccan influences? Rabbi Lazer Brody put his own words to a John Denver song that he enjoyed when he was younger in one of his new Emuna series CDs. In February 2006 he wrote, "I sing (after Baruch She'omar) Psalm 100 - Mizmor Le'Toda or "A Song of Thanks" to the tune of "Fame", the old Irene Cara hit from the early 1980's. That puts the rest of my morning prayers in an upbeat groove." If we define Jewish music only as music that has "been through the crucible of Jewish experience." would any new release be considered as "Jewish"? Perhaps I misunderstand this quote from Rabbi Nachman Bulman, however it seemingly gives a very limited definition to what constitutes Jewish music. See Rambam in his Perush Hamishnayos to Avos 1:16 where he describes as foolishness those people who protest if they hear songs sung in a foreign language even if the subject matter is quite proper. We see from here that the Rambam knew of secular songs that were mutar, or even recommended. The Chida (Birkei Yosef Orach Chaim 560) quotes the Sefer Chassidim that says one shouldn't sing "pritzus" songs, but there is nothing wrong with using the melodies. Also see Teshuvos Yechave Da'as 2:5 where he rules that it's mutar (and perhaps even a mitzvah min hamuvchar) to sing kedusha to arabic love songs. I acknowledge that it might be problematic for a religious Jew to listen to heavy metal today if it contains obscene language and explicit subject matter, however from the sources above I cannot see anything wrong with the use of heavy metal music by itself. People may point to the fact that heavy metal music is music that draws from baser emotions such as anger. But not all anger is bad. While anger for the sake of anger is a negative thing, anger can also be merirus; propelling one to positive action. What if the music was filled with anger towards injustice or other problems in the world? Isn't there a musical place for this? Missing today on the Jewish music scene is an equivalent to the guitar playing of Marty Friedman, Scott Ian, Dan Spitz, or Dave Mustaine. While 99% of the time I prefer Jewish music that is more melodic in nature, I am still waiting for someone to uplift the sparks from the lower levels, expand the boundaries of Jewish music, and make quality Jewish heavy metal. Right now I am left without a kosher option. Music has a tremendous power to draw you to G-d. Get into the habit of always singing a tune. It will give you new life and send joy into your soul. Then you will be able to bind yourself to G-d. It is especially good to sing on Shabbos and Yom Tov, and at a wedding celebration. Nachum Segal and Yoni Lipshutz discussed the conditions in the Northern Israeli city of Tsfat, in light of the current cease-fire. Yehonasan called in from Jerusalem where he and his family have been residing temporarily. They spoke about the over-all frame of mind of Tsfat residents, how people are dealing with all the destruction that Tsfat has endured, and how people hope to proceed for the time being. To listen to the interview, click here. I felt horrible; absolutely terrible. On Sunday night, I put our 11 week-old daughter in the bouncy chair and picked her up to carry her into the family room. As I crossed the threshold between the kitchen and the family room, the fabric of the bouncy chair gave out and our baby girl fell face down on the hard wood floor. She screamed and cried, and was comforted once my wife picked her up and nursed her. While she did not seem to have any noticeable injuries, my wife pressed on our daughter's nose to see if it was sensitive. Thank G-d, aside from a little swelling and bruise on the upper lip, she appeared to be completely fine. With her bruised lip she even smiled at us as she always does. "Ribbono shel Olam, please send my precious little angel a refuah shleima. May You heal any injuries we can see and any ones we cannot see. I was wrong; 100% wrong and was not careful enough. I feel absolutely horrible and could not live with myself if I knew I hurt her in a way that was permanent. Ribbono shel Olam, please help her; PLEASE HELP HER!" Later that morning, I called my father, who is a doctor, and told him what he happened. He reassured me and told me that the lip heals incredibly fast and the bruise would be gone in no time. He also told me that her smile was an indication that she was not injured. I have never experienced such a sickening feeling deep down in my stomach as I did after this happened; fear, worry, shame, and regret all bound together. I have certainly learned my lesson to be more careful in the future. The simple meaning is always the true meaning. Rabbi Binyomin Rosenberg and his family were oleh to Tzefas ten years ago from Borough Park, where they soon founded Eizer L'Shabbos, inspired by the example of Tomchei Shabbos in Brooklyn. The following interview tells the story of what Eizer L'Shabbos has been doing since the outbreak of the Lebanon War. Question: How has the war affected the scope of your activities as director of Eizer L'Shabbos? Answer: Normally we deliver food packages and supply vouchers to between 50-80 families every Shabbos in Tzefas, and to approximately 300 families before YomTov. However, today we are supplying thousands of people, many of whom we have never met before: Ashkenazim, Sefardim, Chassidim, Litvaks, Baalei Teshuvah and Geirim, and recently non-religious Jews who were living in shelters with almost no food. A week ago, I walked into one shelter in a building of chilonim, and began distributing food packages. 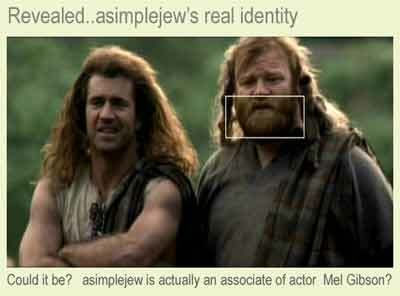 One man said, "A Jew that looks like you is bringing food to a Jew who looks like me? I never would have believed this if it didn't happen to me!" These people had no where to turn. Normally, we are focused on helping Shomer Shabbos families, many of whom are in desperate straits. But at a time like this, we feel that we must help every Jew. 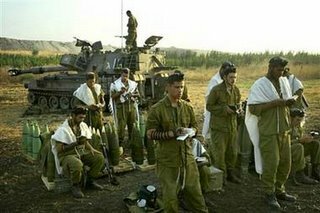 Question: Did you remain in Tzefas throughout the weeks of missile attacks? 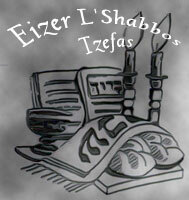 Answer: Tzefas was first attacked on Shiva Asar b'Tammuz, on Thursday afternoon. We left for Elad, which is near Bnei Brak, the next morning, planning to return after Shabbos. We never expected the bombardment to continue for so long. 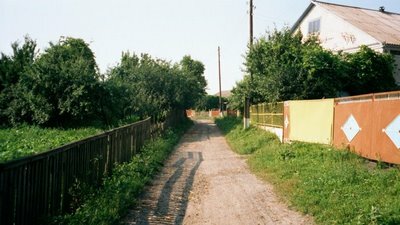 When I came back on Sunday, I saw that Maor Chaim, the shikun where we live, was eerily quiet. More than half of my neighbors had left, and others were waiting at bus stops with their suitcases in order to leave the city. I'm told that eventually about 80% fled, but still leaving hundreds of families who had nowhere else to go. Then the phone calls started coming in, some from people stranded in Tzefas without food, others from families of refugees who were penniless. My son Noson is a Hatzolah worker in Tzefas who stayed behind, and he saw things that hecouldn't repeat to me, he was so upset. He also has a grocery store, and basically gave away his entire stock on credit. Nobody had any money! Even those withbank accounts couldn't access their money, because everything was closed.That's when I decided to return to Tzefas in order to expand the scope of my work. I started by distributing free food vouchers. But many people were afraid to leave their homes. So my son and I organized food deliveries. Representatives from various parts of town also started coming to supply their neighbors. This continued even when we were under fire, which was a terrifying experience. Question: How were you able to get enough food and other supplies into Tzefas, when missiles were ravaging the north every day? Answer: It was a very big problem. Many people risked their lives to do this, and continue to do so. I have a friend, Mr. Kuperman, who runs a butcher shop in Tiveria. His employees were afraid to drive to Tzefas. So he personally delivered the meat to us while the missiles flew over his head! People are very brave. The trucks are still running, boruch Hashem, and at least for now we are continuing to get most of the supplies we need. Question: Are you serving only Tzefas? Answer: We also have supplied food vouchers to outlying communities such as Birya and Canaan, which was very badly hit because of the nearby army base. I went into a big grocery store there called "Super Chabad," and saw that the place was full of food, but it was totally empty. "Are people buying?" I asked the manager. "They're afraid to come," he said, "and besides, they have no money." So I started distributing vouchers. At first about 40 people came out of the shelters to get food. Then the number increased to 200 families -- which means over a thousand people. One lady told me, "We felt like nobody cared about us until you came!" Question: What does Tzefas look like these days? Answer: I'm sad to say this, but the damage is very great. Missiles stuck almost every street in the Old City, and recently they have been directed toward Maor Chaim and the other tall residential buildings below the Beis HaChaim, where the Arizal and other tzaddikim are buried. The shopping areas are all closed. There is no work, no income. These three weeks after Tisha b'Av are the peak season for tourism in Tzefas, when many people make their income for most of the year. But there are no tourists this summer. What will these people do to survive? The area around the hospital was also intensively bombed. 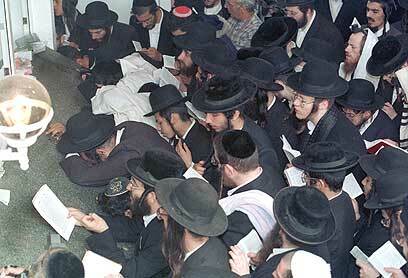 Boruch Hashem, they all missed the hospital, but that neighborhood took a heavy toll. Meron was also devastated. There were forest fires that burned for days. But the tziyun of Reb Shimon was untouched. I haven't seen the village yet. Hizbulla wanted to hit the army base on the mountain. Question: What about the refugee problem? Answer: Rav Elazar Kenig of Kiryat Breslev has spoken to me about this a number of times. He hears from people day and night, and although much chesed has been shown to them in Yerushalayim and Bnei Brak and elsewhere, thousands of people have been driven from their homes and are penniless. It is not easy for families with children to stay with friends and family members for weeks at a stretch. For the most part, their hosts are also poor and don't have much room for guests. So many refugees have come back - to be welcomed by more missiles. Eizer L'Shabbos actually paid car services to help some of these people escape at night, when things usually quiet down. Although resources are limited, we are trying to help the refugees in any way we can. Question: What does it cost to run Eizer L'Shabbos these days? How are you managing? Answer: We spent $20,000 on food packages and vouchers the first week of the war, and then increased to between $40,000-50,000 per week. Many people helped us meet these expenses, especially my father, Rabbi Avraham Yosef Rosenberg of Borough Park, and Rabbi Zvi Davis of Flatbush, who helped raise money in America; we can't thank them enough. Rabbi Simcha Murvis, Rav of Sdei Ilan, and his Eishes Chayil, Elisheva Murvis, sponsored the Eizer L'Shabbos Emergency Hot Meals Project to the tune of 1200 meals Erev Shabbos and an additional 800 meals once or twice a week. And they spent extra money so thatwe could provide the best quality meals, too! We also must thank Mr. Menachem Teitelbaum of Mishnas Yaakov, who joined forces with Eizer L'Shabbos to bring in truckloads of staple foods, which we included in our packages. Standard Eizer L'Shabbos packages also include frozen foods and other supplies, all in all worth around $100 a piece. Plus many friends made appeals in shuls, put out Eizer L'Shabbos flyers and envelopes, and brought them to bungalow colonies. These efforts have been a true lifeline for thousands of people badly in need. Question: Can you give us some good news? Answer: Dovid HaMelech says, "Batzar harchavtah li . . . 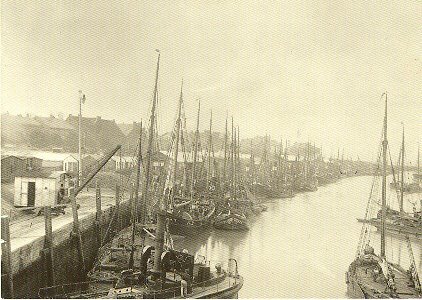 Even when I was in narrow straits, you made them wide for me!" We have seen many, many harchavos inTzefas, b'chasdei Hashem. Yesterday a missile came flying through the narrow space my apartment building in Maor Chaim and the next one, hitting a third building that was empty. The explosion was tremendous - but miraculously no one was hurt. 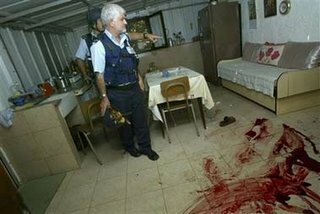 In Kfar Canaan, one father left the front room of his dirah moments beforea missile struck. It demolished the room, but the man was saved from certain death. 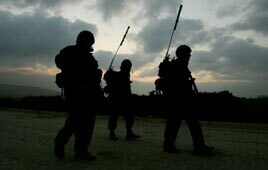 On the first Friday night of the war, the olam had just left the Tchortkover Beis Medrash in Tzefas when a missile stuck the house of the Attiah family next door. The Attiahs, an older couple, had gone to one of their married children for Shabbos, and thus were not hurt. Part of the missile damaged the shul, but the place was empty. When I visited the site, I picked up a clock on the floor, which had stopped at 8:30 PM. If it had been a few minutes earlier, everyone would still have been in shul davenning Ma'ariv. 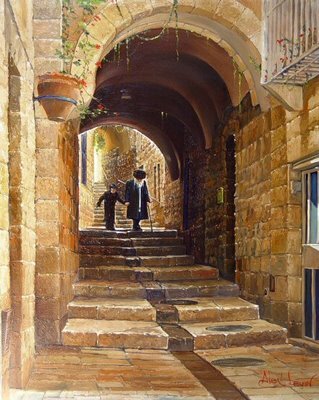 One afternoon, two melamdim were walking to the Breslever Cheder on the path they always took, when a neighbor called them over to ask a question. Seconds later a missile struck exactly where they would have been if they had continued. There are probably hundreds of such stories. Nevertheless, people have been killed, many have been injured, and even more have been traumatized. One twelve-year-old boy, a very active, bold child, was near a missile when it hit the Old City. He wasn't hurt, but his mother says that at first he couldn't speak and cries all the time now. "Lo al ha'lechem levad yichyeh ha'adam . . . Man doesn't live by bread alone." We all have to daven and do as much tzedakah va'chesed as possible at a time like this. Who knows why this is happening? Maybe just to bring us closer together, so that we should help each other, like one big family -- which is what Klal Yisrael truly is. Thousands of dollars are needed to relieve the families affected by the weeks of war and destruction that has ravaged Tzefas and other northern cities. HaKodosh Boruch Hu will surely help -- but you can have the zechus of being His shaliach! Funds are needed IMMEDIATELY! UPDATE: I just spoke with Rabbi Rosenberg on the phone this evening and he said that funds would be needed now to help all of the refugees returning home during the cease fire. Rabbi Rosenberg wanted me to stress the point that the Eizer L'Shabbos will increase its efforts 100% to meet this demand. "I Hope And Pray That I Am Wrong"
But the goal of war is to stop all those things. The ultimate sacrifice to save the future. However, if the leaders - political, military, religious, etc - are looking for a way out - if they aren't seeking complete victory - than all is for naught. Lives were lost, damaged, never to be the same - on both sides - and nothing changed. if so, why do it? Why abuse people to achieve nothing? My perpetual fear is that there is no leadership. That the goals are to small to matter. That people are made to suffer for nothing... I hope and pray that I am wrong. How pained He is when His children fight. How concerned He is when His children are injured or sick. How much nachas he gets when His children love and help each other. How frustrated and angry He is when His children disobey His commands and do what they want, not what He wants. How loved He feels when His children seek to be close to Him. Do you know why a single engine can pull so many heavy wagons? It is because it contains the steam within itself. If you say to yourself, “These nations are more numerous than I am / we are, how will I / we be able to drive them out?” Do not fear them, but remember what Hashem did to Pharaoh…[Devarim 7:17]. However, he says, the verse is bringing us a very positive message: that as soon as a thought of teshuva [return to G-d] arises in our hearts, and we justify the Heavenly decree, Hashem will immediately have mercy upon us, and our enemies will fall before us – even before without actually performing a good deed or mitzva. The verse can be interpreted as follows: If you say to yourself, “These nations are more numerous, indeed the reason for that is mimeni – “from me,” that is, I am the cause of this, for having violated Hashem’s precepts. Therefore I might say, “how will I be able to drive them out?” But immediately upon justifying the Divine decree, Scripture informs us, “Do not fear them”—for your thoughts of teshuva are enough to save you. Nevertheless, you may not be convinced, thinking that how can I drive them out, without the merit of Torah and mitzvos? The answer is, “remember what Hashem did to Pharaoh and all of Egypt,” for then the Jewish People were devoid of any merits of Torah and mitzvos, and still Hashem saved them, and their enemies fell from before them. Furthermore, the remembrance of the miracles Hashem did to Pharaoh and Egypt is mentioned here to allude to a teaching of a powerful segula, taught by our Sages who were endowed with Ruach HaKodesh [Divine inspiration]. That is, when a person needs to get through a difficult situation, such as overcoming a disease, or crossing the ocean without harm, he should recount a miracle that happened to our forefathers in a similar situation. Thus our verse which says, “remember what Hashem did to Pharaoh and all of Egypt,” alludes to this – that a recalling of earlier miracles can help us in our present situation, arousing Hashem’s Divine Mercy and Chessed [lovingkindness] to save us.